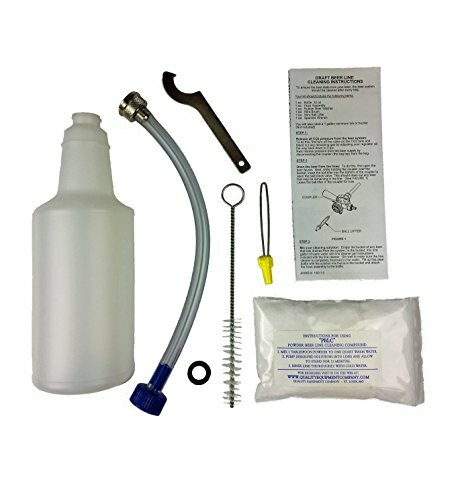 Includes 1 quart bottle, hose assembly and o-ring, faucet wrench and brush, ball lifter, and powder cleaning compound. Includes step-by-step cleaning instructions for your draft beer lines with pictures showing proper use of the kit. Kit is gravity feed so there is no need for pumps or additional supplies, hose assembly fits all standard draft towers. Quality seal materials and design prevent leaking problems that occur with some other beer line cleaning kits. 100% money back guarantee. If you are not completely satisfied we will refund or replace your kit, no questions asked!